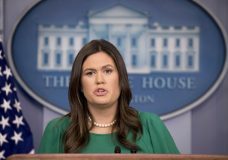 WASHINGTON — The White House has acknowledged error in its false claim that President Donald Trump created three times as many jobs for African-Americans than President Barack Obama. 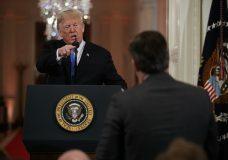 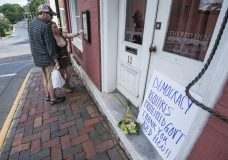 WASHINGTON — President Donald Trump on Monday trash-talked a Virginia restaurant that asked his press secretary, Sarah Huckabee Sanders, to leave because she worked for his administration. 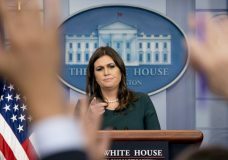 WASHINGTON — The White House is defending President Donald Trump’s chief of staff after the aide mischaracterized remarks of a Democratic congresswoman who has assailed Trump’s condolence call to the widow of a soldier killed in Niger.